Who the Heck is N2N? You may have read about us in Forbes, or seen Gartner recognize us in a couple of their reports. 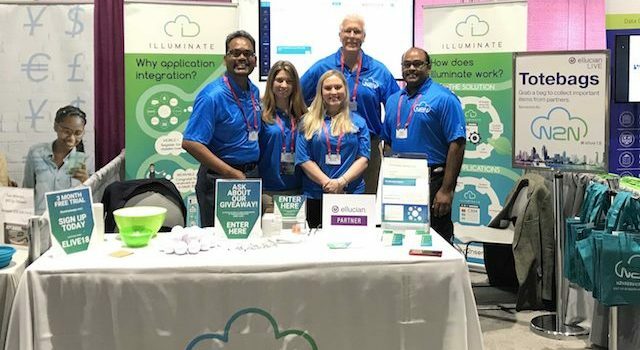 You may have heard about one of the awards we’ve won, or seen our name listed as an official partner of Oracle, Ellucian, Hobsons, Macmillan Learning, Modo Labs, ACI or others. 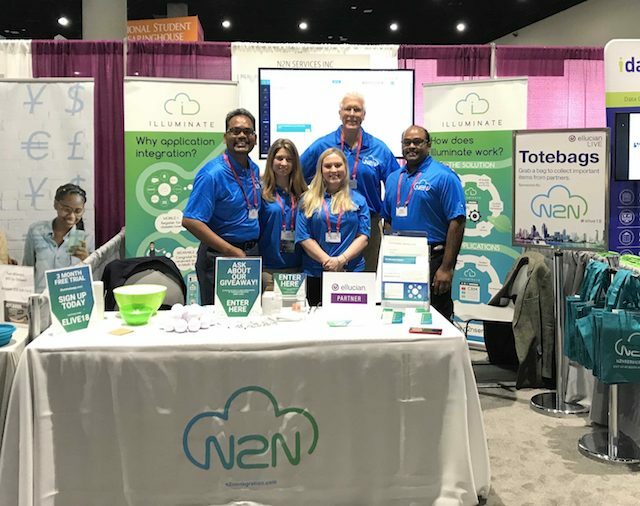 You may recognize our name, but do you know what exactly we do here at N2N? And more importantly, do you know what we can do for you? We’re working with various forward-looking organizations, creating new and exciting uses for blockchain technology in the world of higher ed, developing an easy-to-use, affordable API Management Platform, and constantly developing boundary-shattering new tech tools to help shape a brighter future for us all. But in a nutshell, we help organizations stop worrying about IT, start innovating more, and increase efficiency or boost their bottom lines in the process. Can we get a show of hands from everyone who’s on board with that idea? Yeah, it’s pretty much everyone. The thing is, IT is crazy expensive, crazy time-consuming, and crazy complicated. And when any software or hardware changes mean having to hire programmers, or putting your in-house IT team to work for weeks or even months to integrate it all, it can definitely put a damper on innovation. But unbridled innovation is key to growth. So, do you pay a small fortune to take a step or two towards innovation, keeping your fingers crossed that it all works out and you didn’t make a mistake in choosing that particular new app? Or do you play it safe, save your money, and just keep doing what you’ve always done – while everyone else begins to outpace you? At N2N, we understand the Catch-22 situation you find yourself in. That’s why we created the Illuminate platform, a tool that allows organizations to innovate freely, without having to give a second thought to IT and data integration issues. Illuminate is an API management platform. That means that it enables users to build little connectors between apps, programs, and databases in order to integrate them. But the reason Illuminate is so unique is that it doesn’t require any coding. Do you know how to code? Nope? That’s OK – you can use Illuminate. In fact, it was built with you in mind – business users, not IT staff. The reason it’s so simple? Its wizard interface walks you through the creation of APIs with pre-made building blocks that you just snap together – in minutes. Want to try out a new app, but you’re not sure it’ll work with your existing systems the way you hope? No problem. Snap a few blocks together, get that bad boy integrated into your current system, and try it out. Don’t like it after all? Undo the connection, and try another one. No harm, no foul. You can do it all yourself in just a few minutes. After it’s set up, IT resources are not even a consideration, and even Illuminate’s installation is designed to be simple. With innovation made quick and easy, organizations are free to experiment and find the best tools for their needs – which leads to growth. So that’s what we do here at N2N – and that’s who we are. We have our sights set on the future, and we want to help you find your brightest future, as well. Contact us today – we’d love to chat. Leader and manager with a diverse background in IT and project teams (traditional and agile methodologies), web-based applications, enterprise systems infrastructure, and advanced networking. Specialties: Technology vision and management, especially in higher education. Joel has an undergraduate Business degree and a graduate Computer Science degree, and many years of IT experience.